If your home is heated by Portland General Electric, Pacific Power, NW Natural or Cascade Natural Gas, you could qualify for an Instant Rebate. 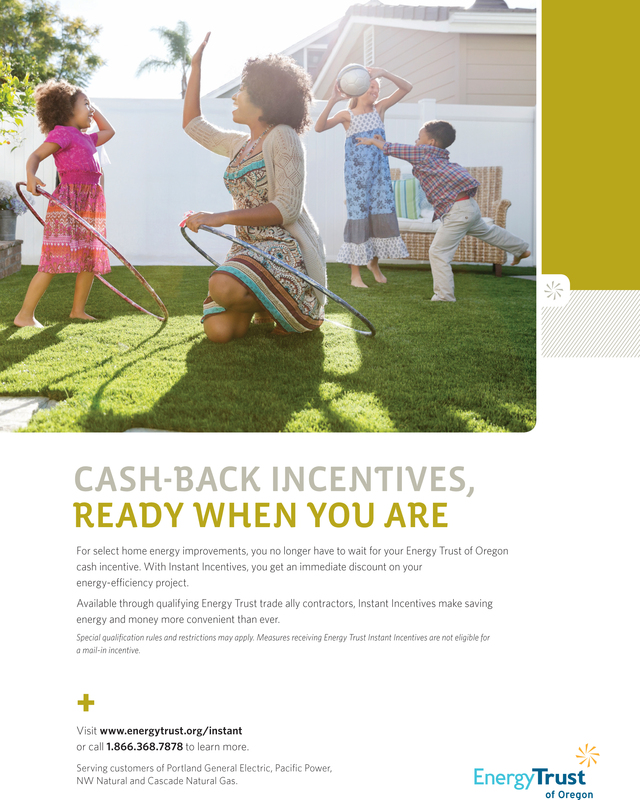 As an Energy Trust of Oregon Trade Ally Contractor, we are able to take your rebate off your bill as an immediate discount on projects we install. Call for details or fill out the “request an estimate” form to see if you qualify.